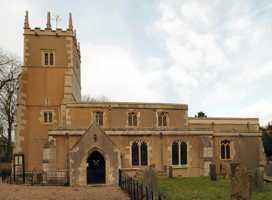 Built of stone, the church consists of a chancel with north vestry and south chapel, a clerestoried nave, aisles, a south porch and an embattled west tower, the latter mainly late 14th century but heavily repaired in 1558. Portions of an earlier, Saxon-Norman, church, in the form of a doorway and herringbone masonry, are incorporated in the north wall of the nave. The south arcade of three bays is on Early English piers, circular with 4 detached shafts, and 4 major and minor shafts, with simply moulded capitals. Several square-headed windows were installed towards end of the 14th century. The plain octagonal font is Early English. The nave roof dates from 1664. 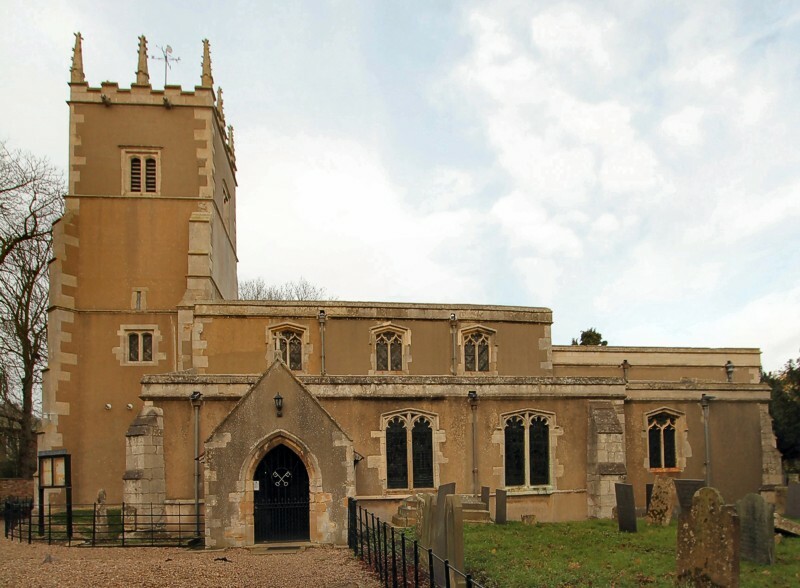 The church was renovated 1864-94 and the north aisle rebuilt in 1897 by Hodgson Fowler. for research on this entry and to Geoff Buxton for the photographs.